It occurred to me as I doodled this that Horton Hears A Who is basically a story about learning to love bacteria. Huh. Must be the day-olds. Wow, did they give out different lids in America than in Canada? I mean, they should change their Canadian lids but only because they never close properly. The first time I bought a take away coffee with a spout on the lid, I was forever complaining about it being a ‘sippy’ cup for kids. Now they’re everywhere and I just take the lid off when I drink it. That’s great! Are you in Canada? 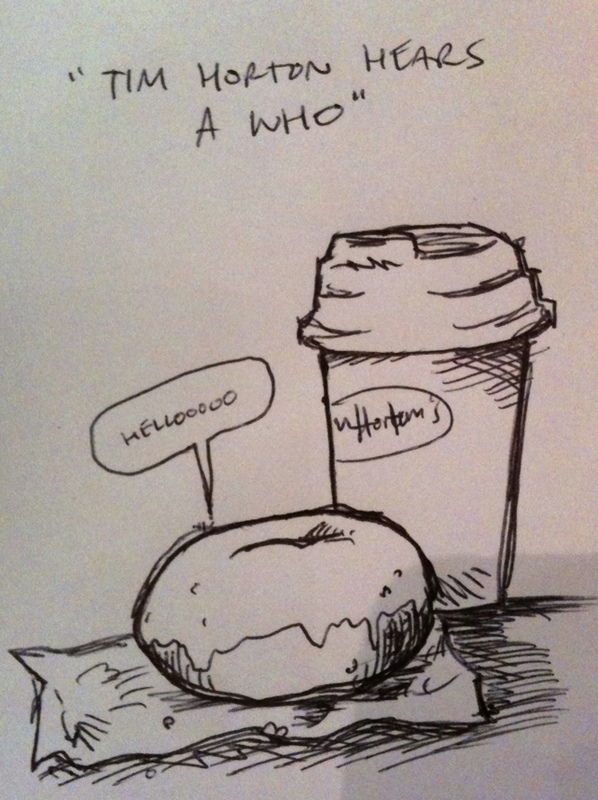 Or do they have Tim Horton’s in America? I’m from the US, but I go to school in Canada, and coming here was my first exposure to the chain. Bacteria are like ladybugs, they are good tiny things that resemble bad tiny things.